A Japanese study of nearly 37,000 people, published in the online journal BMJ Open, said balding men were 32% more likely to have coronary heart disease. However, the Japanese researchers said the risks were less than for smoking or obesity. A shifting hairline is a fact of life for many men. Half have thinning hair by their 50s and 80% have some hair loss by the age of 70. 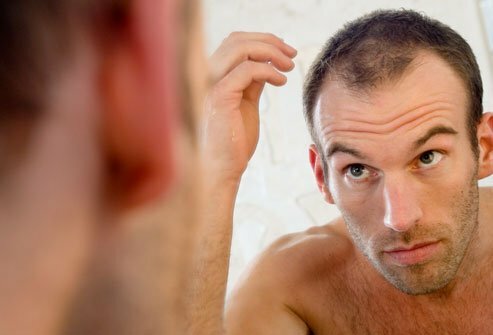 Researchers at the University of Tokyo sifted through years of previous research into links between hair loss and heart problems. They showed that hair that went thin on the crown was associated with coronary heart disease. This was after adjusting for other risk factors such as age and family history. However, a receding hairline did not seem to affect the risk. Dr. Tomohide Yamada, of the University of Tokyo, said: “We found a significant, though modest, link between baldness, at least on the top of the head, and risk for coronary heart disease. He said younger men losing hair on the top of their head should focus on improving their lifestyle to ensure they keep their heart healthy. However, Dr. Tomohide Yamada said there was not enough evidence to suggest screening bald men for heart problems. Any explanation for the link is uncertain. There are ideas about increased sensitivity to male hormones, insulin resistance and inflammation in blood vessels affecting both the heart and the hair. One in five men and one in eight women dies of coronary heart disease which is caused by blood vessels that nourish the heart becoming blocked.